To us, springtime means renewal – for ourselves and our surroundings. Spring Clean your home and get family members to help. A thorough cleaning and organizing of the home takes commitment and work, but it feels great at the end. You may find yourself inspired to maintain the hard work and be more organized and tidy every day. Get Outside and take beach cruisers along the beach trail and PCH (where there is now a separated 2-way path for feet and wheels from traffic) and have lunch at the Dana Point Harbor. It’s a flat ride and a fun way to spend a Sunday. Go Greener and exchange some plants in your front yard for more low maintenance and drought-resistant greens. Take a Weekend Getaway to one of the many beautiful places we’re lucky enough to live near. Stay beach-front in Laguna Beach, drive up to Santa Barbara, take the train to Solana Beach, or run off and make no plans other than to just exist somewhere like Pelican Hill Resort in Newport. This entry was posted in Uncategorized on April 18, 2014 by Morgan. 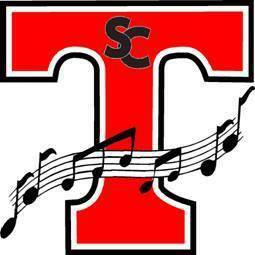 San Clemente High School Music Department hosts a small fleet of food trucks every Wednesday night from 5:00 to 8:00pm to raise money for uniforms, instruments, and nearly every aspect of the department. Whether you come for dinner or desert, just come hungry! This entry was posted in Community Events and tagged Food Trucks, support SCHS on April 2, 2014 by Morgan. It looks like living green isn’t just a fad – people have caught on and learned to enjoy the benefits of becoming earth-conscious. Purchasing products and appliances that perform the best and last longer with less consumption of energy, less emission and less of an impact when disposed of, will make a huge positive impact on more than just a family’s budget. As a part of Rancho Mission Viejo, the new housing developments including Gavilan (55+) and Sendero are built with an array of “green” fixtures and materials. Situated on a beautiful piece of land neighboring The Reserve at Rancho Mission Viejo, these developing villages do their part in being responsible toward the environment. 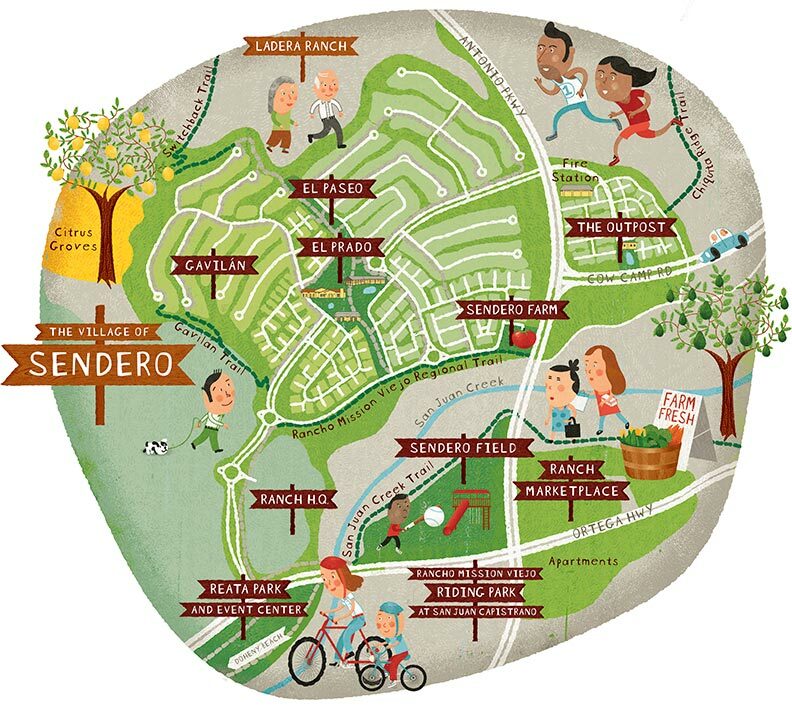 Listed are some features that will be found in Sendero and Gavilan homes of the Rancho Mission Viejo area. Tankless Water Heaters: Rather than losing energy during standby mode from a storage water heater, a tankless model will heat the water directly and as needed, creating an endless supply of hot water. Energy Star® Appliances, Fans and Entry Doors: Energy Star® Appliances have been designed to consume less water and electricity than conventional household appliances. They are built to perform and to last without excessive wearing. Water-Efficient Fixtures: Low-flow fixtures conserve large amounts of water, and do not always compromise pressure where needed. This is one of the most effective resource-saving methods. Low-E Vinyl Windows: Low-E refers to low emissivity. These windows are made with a metallic coating inside of the insulating glass, which inhibits heat transfer and reduces fading of interiors by reflecting long-wave light rays carrying heat and UV. Weather-Sensing Irrigation Systems: Using rain sensors, temperature freeze sensors and soil moisture sensors, these systems will set and adjust water applications in response to the changing weather. This is a significant method of water prevention, paying for unused resources and harming landscape from over watering. Insulated Garage Doors: Thermal resistance and non drafting garage doors are ideal in saving energy from cooling or heating a home. Radiant Barrier Sheathing: Helping to reflect the suns radiant heat, this will slow heating of the attic so that cooling costs and energy may be reduced. High-Efficiency A/C: By using less energy, optimizing performance and reducing emissions, a significant amount of energy is saved by using a high-efficiency A/C unit. Low-VOC Carpets, Paints and Finishes: Volatile Organic Compounds, VOCs, are unstable, carbon-containing compounds that readily vaporize into the air. Just as fast as these materials are installed into a home, VOCs are emitted and air quality is affected. Materials and finishes with with low or no VOCs are much safer and earth-friendly alternatives. This entry was posted in Get to Know the Area and tagged go green, Rancho Mission Viejo on March 19, 2014 by Morgan. The 56th Annual Swallows Day Parade and Mercado Street Faire will take place this year on Saturday, March 22, 2014 in downtown San Juan Capistrano. The Parade (sponsored by Rancho Mission Viejo) will start at 11am and the Mercado Street Faire will go from 8am to 5pm. Families and friends will come for the food, drinks, dancing, music by Working Cowboy Band, the kids play zone and the shopping. 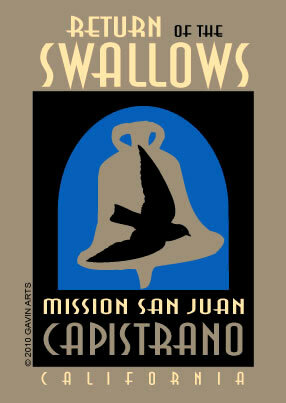 Celebrate the old west and the return of the swallows from their winter home in Argentina, back to the Mission San Juan Capistrano. This entry was posted in Community Events and tagged Rancho Mission Viejo, San Juan Capistrano, swallows day on March 19, 2014 by Morgan. While St. Patrick’s Day seems to be reserved for the drinkers, our communities are hosting some family-friendly gatherings to celebrate the cultural and religious holiday. San Clemente St. Patrick’s Day Dinner: Come and support local organizations such as the Boys & Girls Club, police officer and fire fighters of the year, lifeguard of the year, Laura’s House and the San Clemente High School Music Department for an Irish dinner catered by Carbonara’s, live music and Irish dancers. At the San Clemente Community Center, Saturday, March 15 at 5:00. 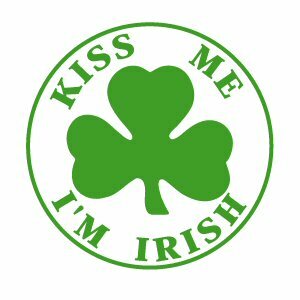 San Clemente St. Patrick’s Day Dinner: The Knights of Columbus will host a traditional dinner including corned beef and cabbage at Our Lady of Fatima Church’s McGowan Hall (105 N. Esperanza) starting at 5:30 on Saturday, March 15. Come for the music, dancers, singing, crafts and the “Mr. and Mrs. Most Irish” contest. San Juan Capistrano Leprechaun Hunt: Bring the kids out to decorate a blarney stone and learn more about the Irish history of The Reserve at Rancho Mission Viejo. Save your spot on the website (rmvreserve.org), and come to the Richard and Donna O’Neill Conservancy at 9:00am on Saturday, March 15. This entry was posted in Community Events and tagged San Clemente events on March 10, 2014 by Morgan.